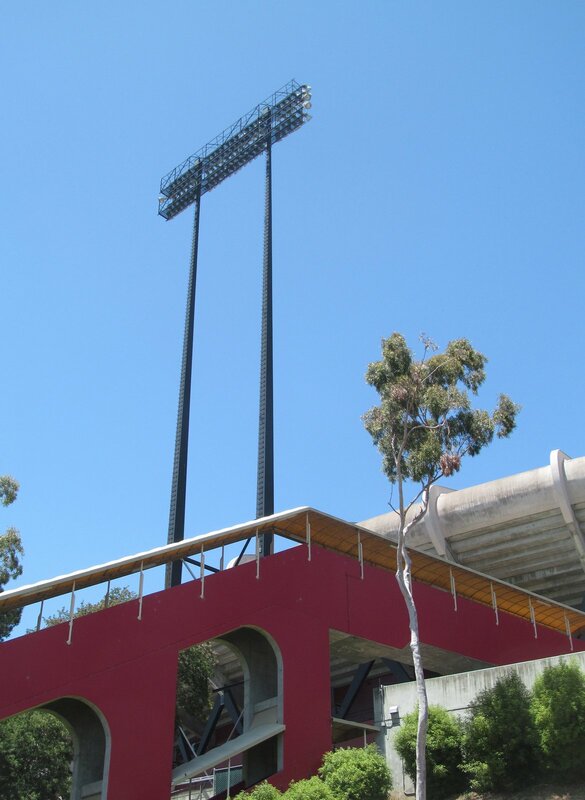 Construction works on the very first baseball stadium made entirely with reinforced concrete began in August 1958. 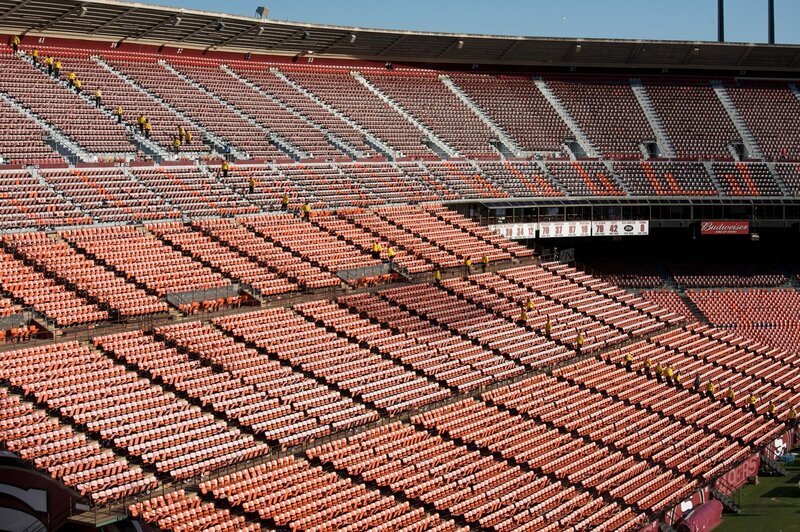 Less than two years later the stands for around 43,700 people were ready. 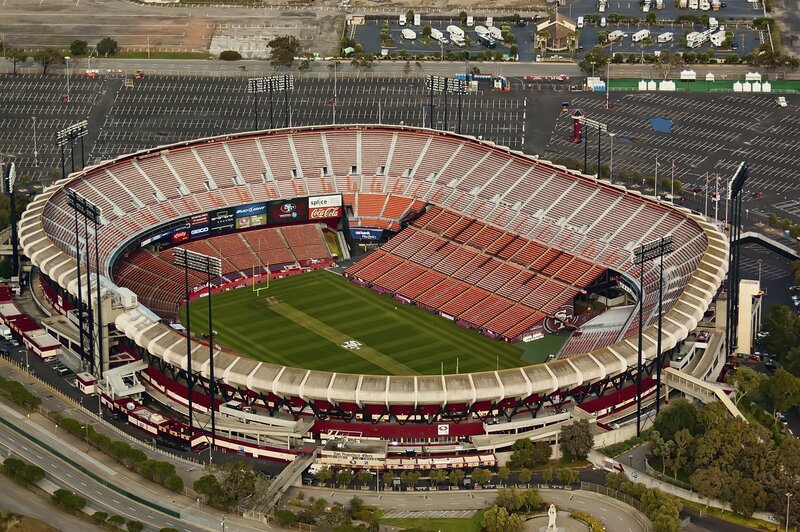 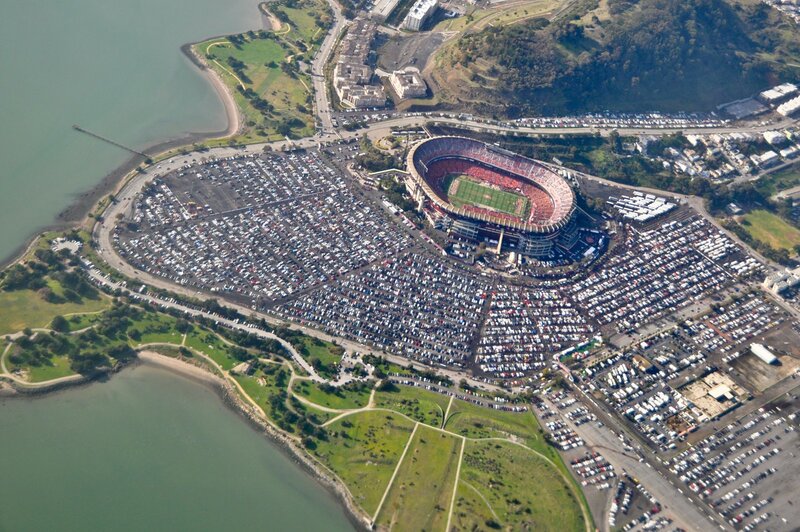 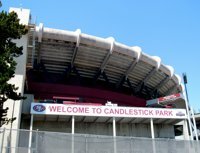 Located on the very south-eastern edge of San Francisco, area called Candlestick Point, the ground is surrounded by 10,000 parking places. 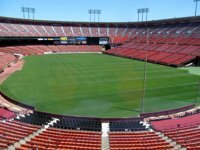 With very few sites suitable to host a stadium and parking of this size, the city decided to buy land from local entrepreneur, who then in return became the general contractor without a proper tender. 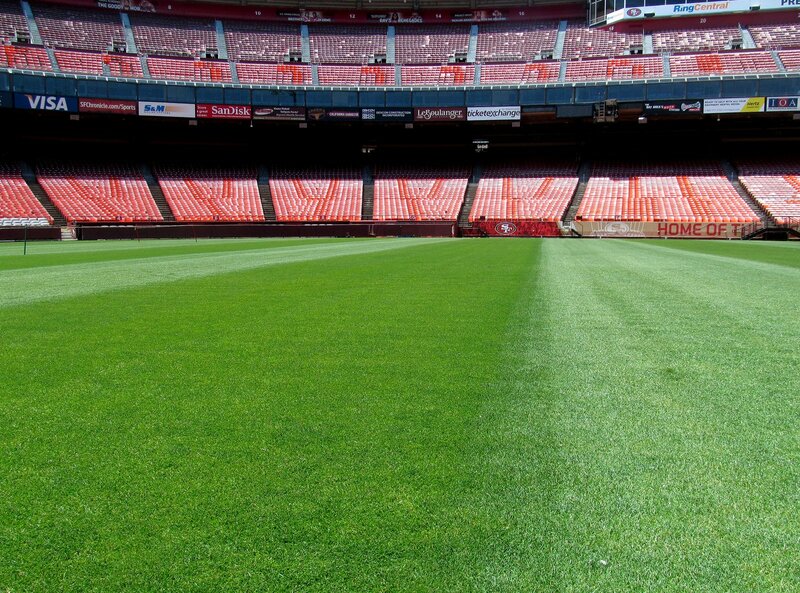 This was later subject to investigation. 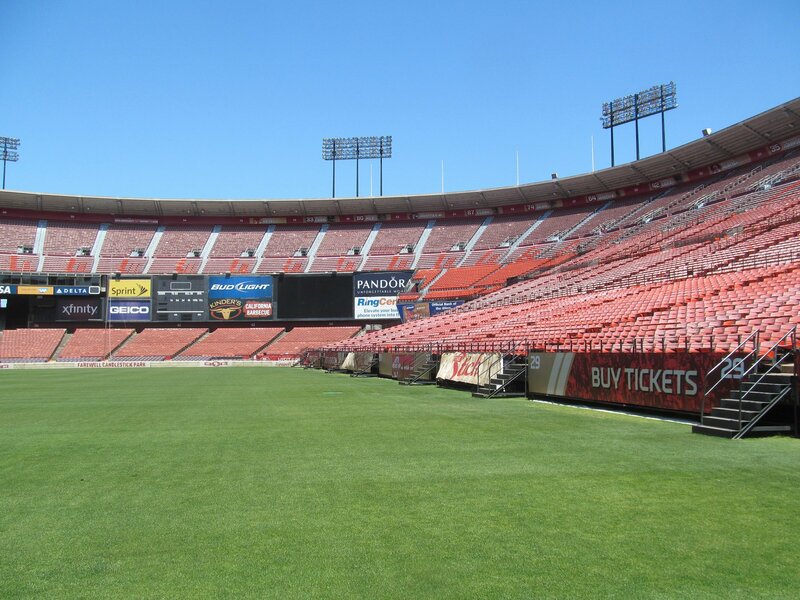 Though initially built entirely for baseball (as the Giants relocated to SF), the stadium was able to hold football games already in its early weeks. 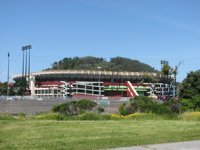 Within just a decade it was expanded and fully enclosed from the north, more properly serving American football despite its irregular shape. 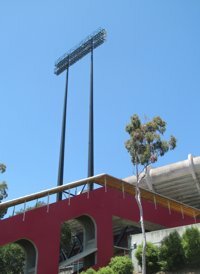 The expansion brought capacity to 58,000 and allowed further increase, but didn’t solve one problem. 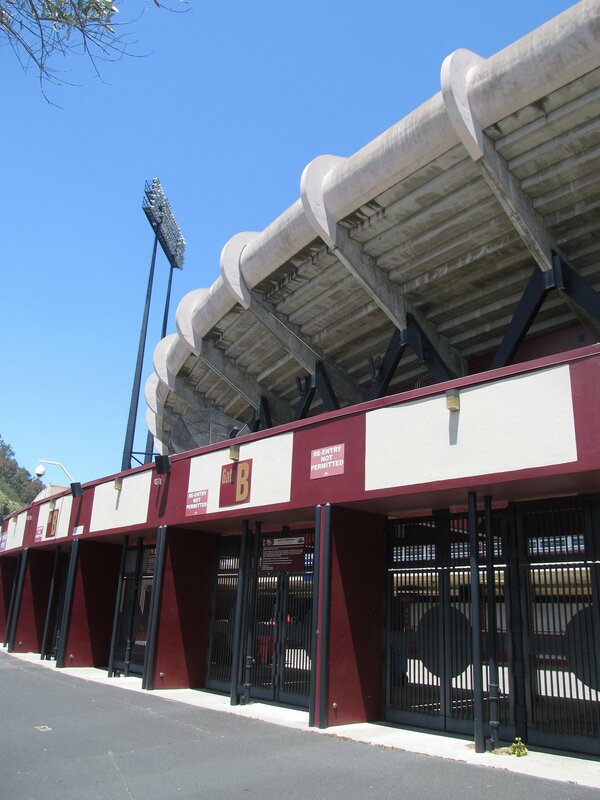 From its early days the stadium was receiving very strong wind from the San Francisco Bay. 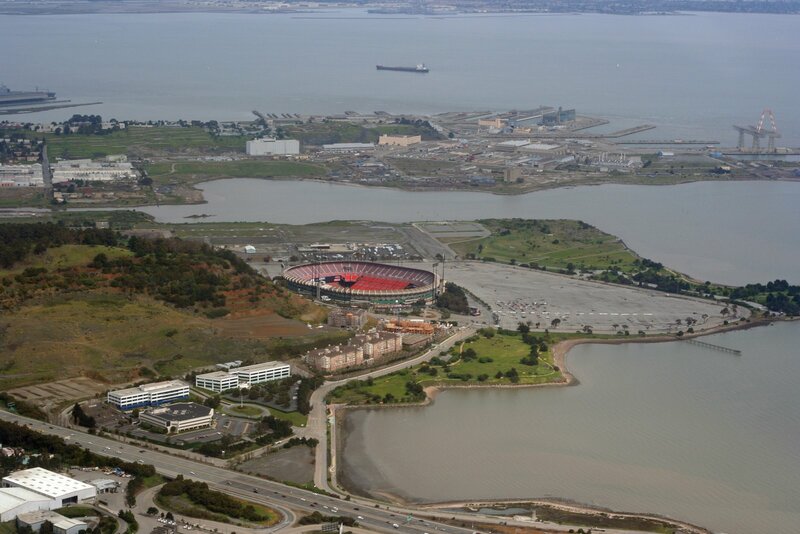 Initially it was though this is the price for a great open view of the Bay. 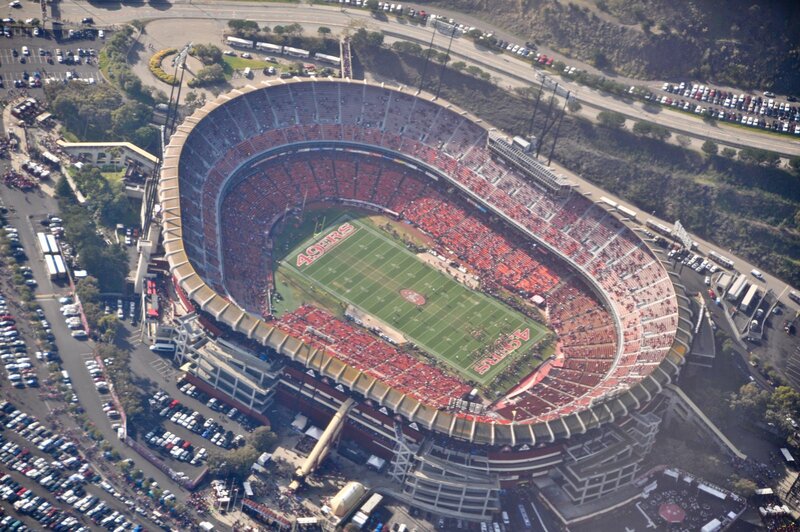 But as the new stands enclosed Candlestick Park, the wind didn’t stop. 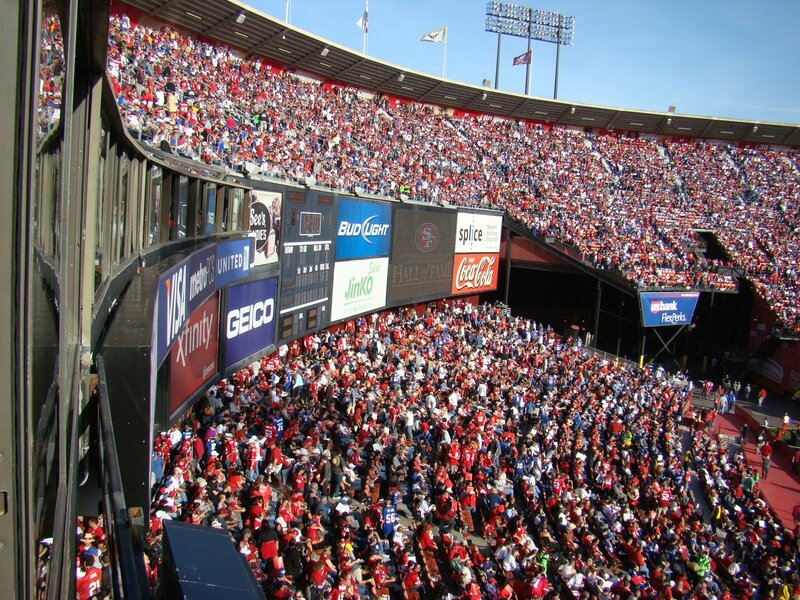 Even more, it began to swirl inside during games, earning it a reputation of extremely cold. 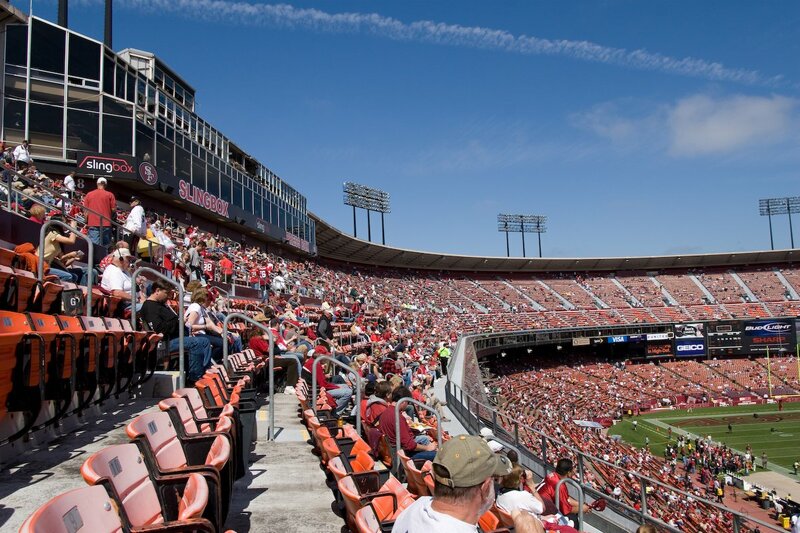 The baseball hosts relocated to their new stadium in 2000, leaving the 49ers as only hosts. 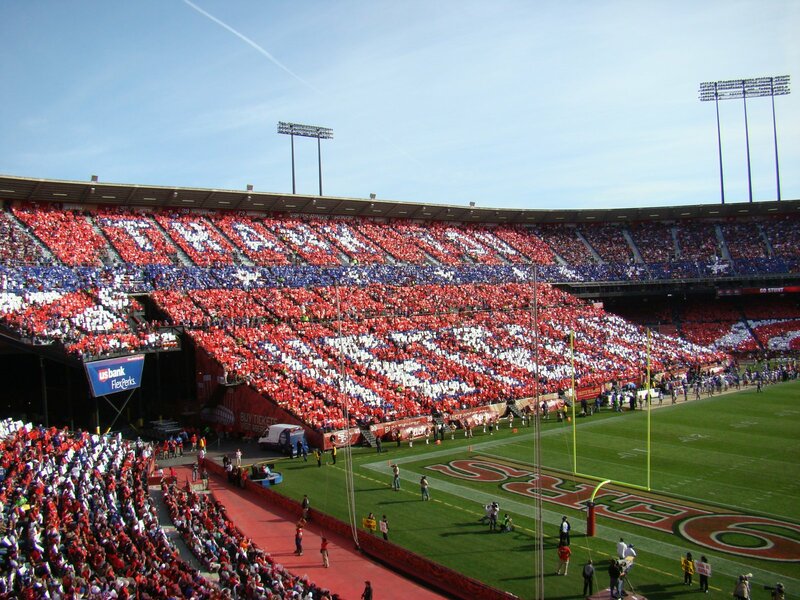 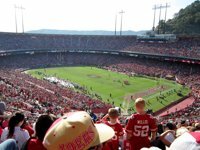 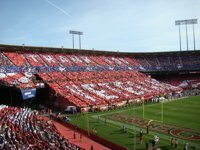 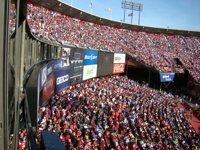 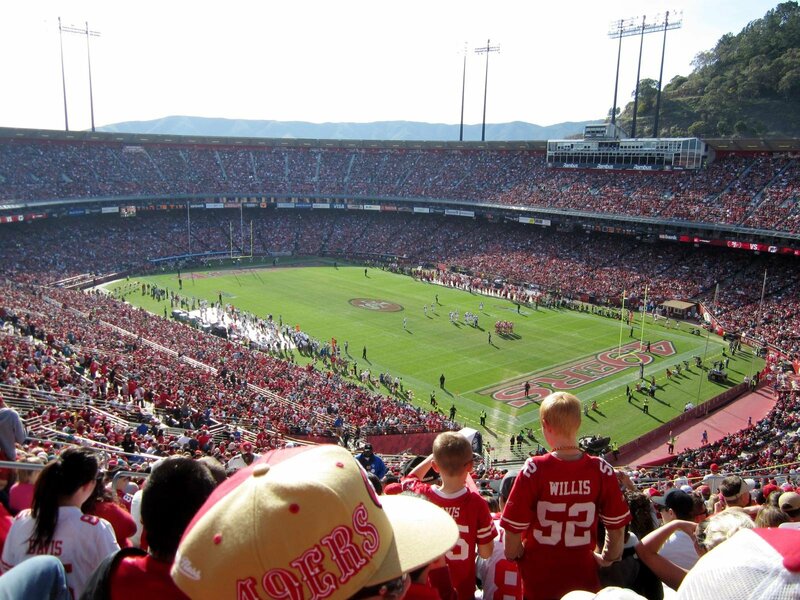 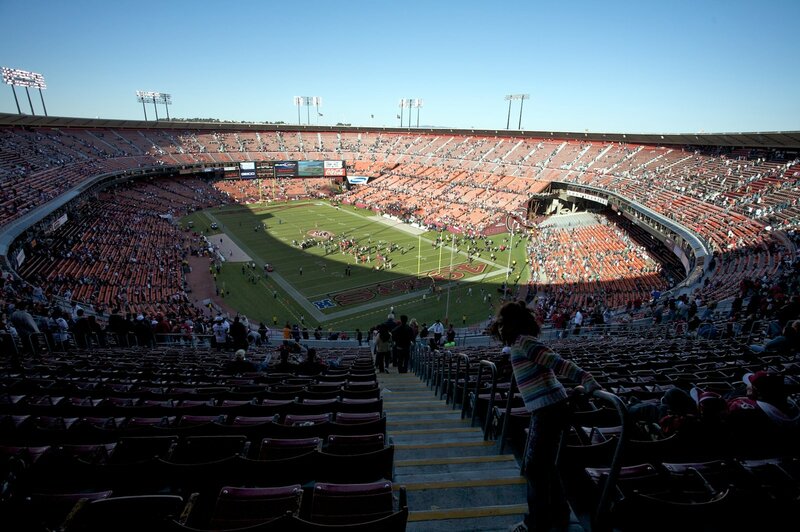 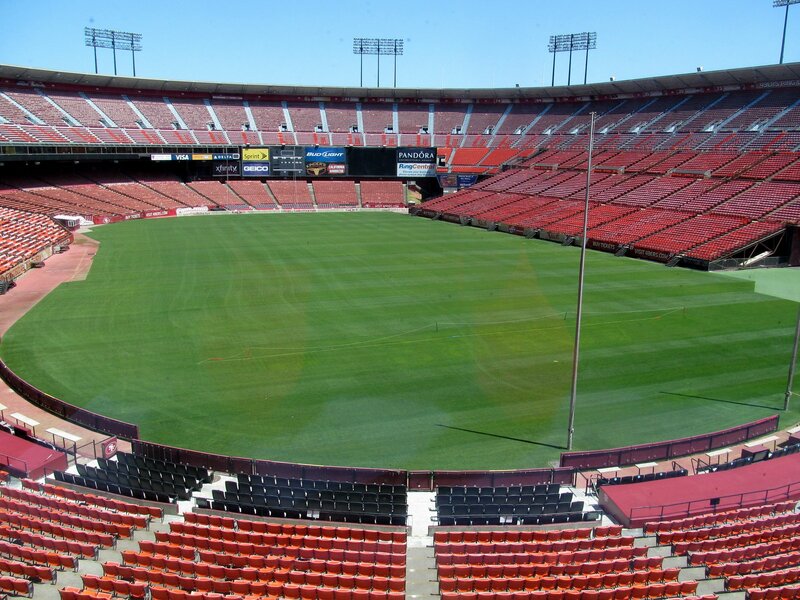 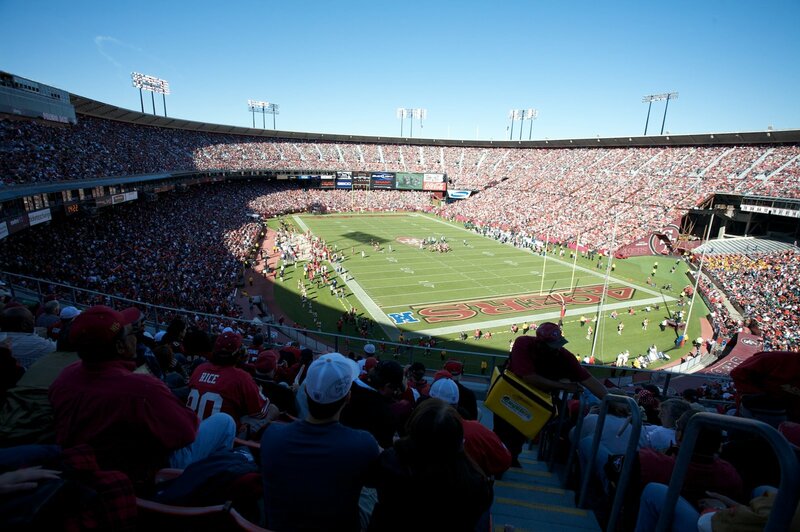 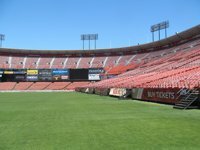 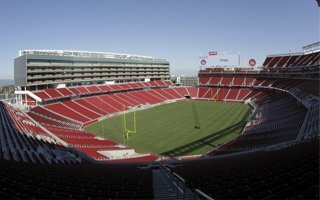 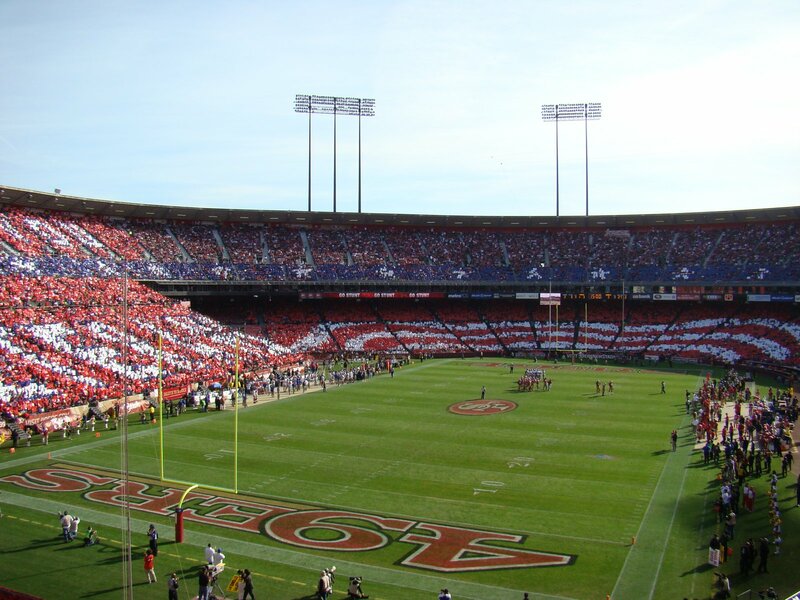 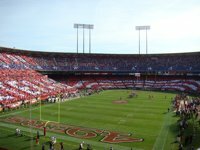 However, the football franchise was also seeking to build a new home, succeeding in 2014, when Levi’s Stadium was opened. 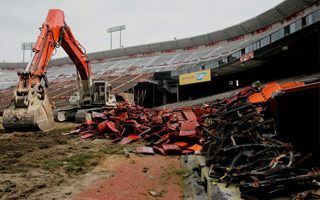 As both key tenants left, the stadium was set for closing and demolition. Last event on the schedule is a Paul McCartney concert, coming nearly 50 years after The Beattles played their final concert at this very stadium.